5. 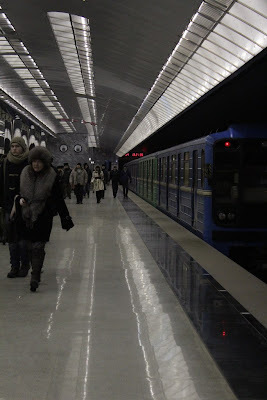 Subway in Yekaterinburg is not very long (8 stations). Its special feature is that the scenery was made of stones mined in tunnel construction. 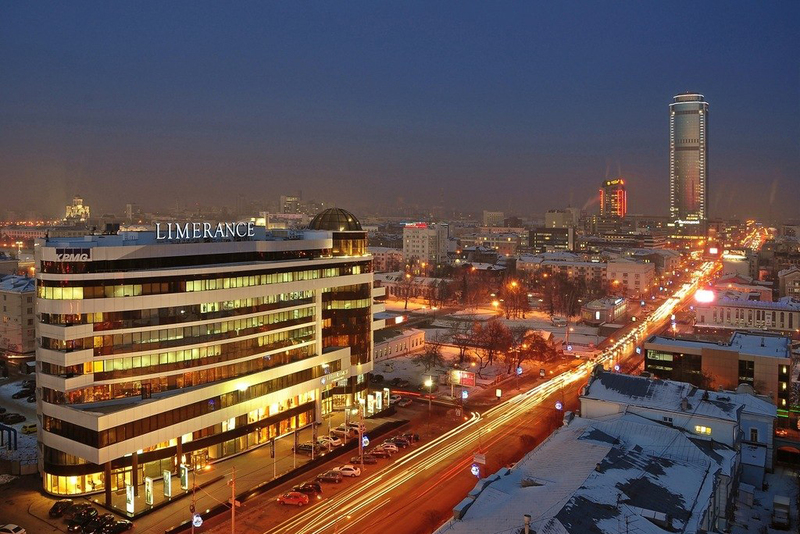 It is not as beautiful as in Moscow, but has its own unique spirit. 6. 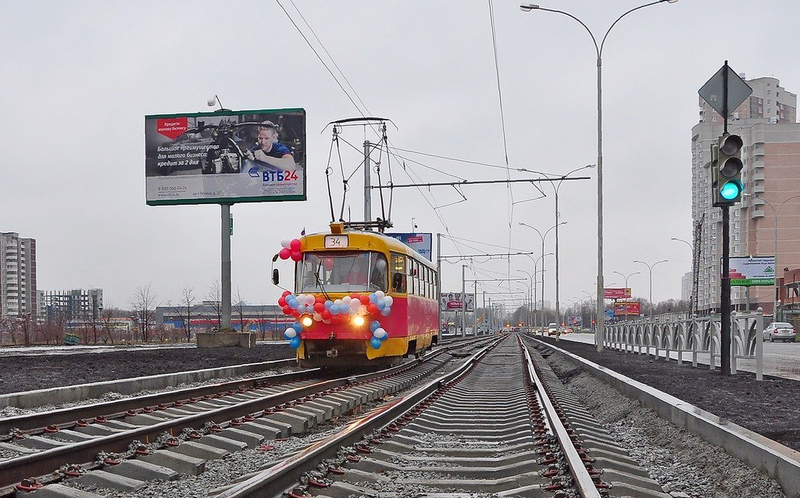 The new tram line, the first tram. This is a favorite transport in the city. 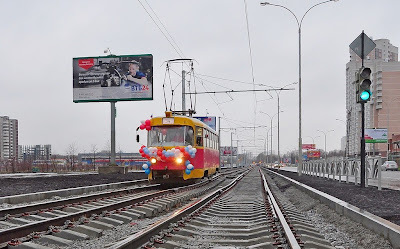 In the United States are not many trams. But in Russia, they are very popular. 7. Industry in Ekaterinburg - the best in Russia. Not for nothing they say: "Ural - defensive edge power" . 9. 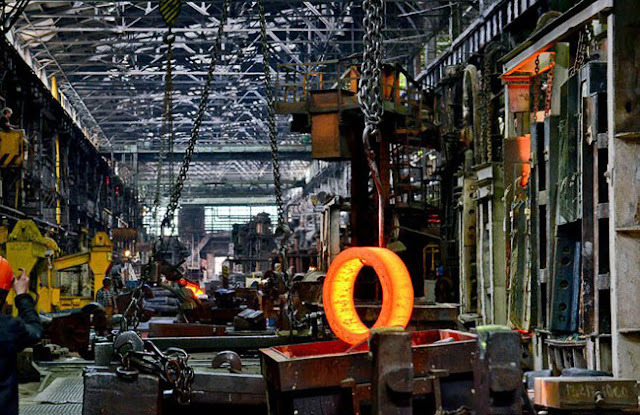 The most famous factory in the Urals, glorified Ekaterinburg to the world. Plant which during the Second World War made ​​T-34 tanks, the KV-1 and SU-100. Today, it does not make tanks, it works for peaceful purposes. 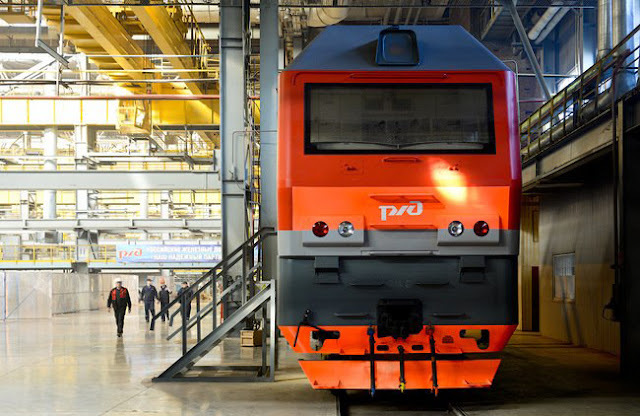 In particular this plant produces trams and locomotives for the Russian railways. Photo depicts part of industrial turbines. 9. This is one of the locomotives who "Uralmash" produces today.